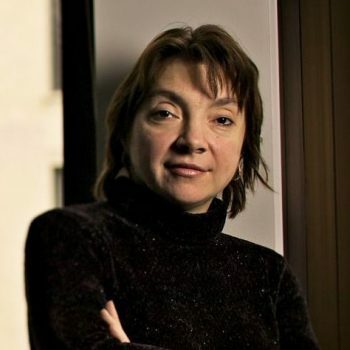 Daniela Stan Raicu is a Professor of School of Computing, College of Computing and Digital Media at DePaul University, Chicago. She is the co-director of the Medical Informatics and the Intelligent Multimedia Processing Laboratories. Daniela is the founding Director of the Center for Data Science at DePaul. Her research interests include medical imaging, multimedia retrieval, pattern recognition and data mining. Daniela’s projects have been funded by the National Science Foundation (NSF), Argonne National Laboratory, Department of Education, and McArthur Foundation. She is the recipient of the DePaul Excellence in Teaching Award 2008, the DePaul Spirit of Inquiry Award in 2010, and the IBM Faculty Innovation Award in 2010. She also serves on the National Council of the Upsilon Pi Epsilon (UPE) honor society in Computer and Information Sciences since 2008. Daniela holds a Ph.D. in Computer Science from Oakland University, Michigan, a M.A. in Computer Science from Wayne State University, Michigan, and a B.S. in Mathematics from University of Bucharest, Romania.